Gordon McNevin LOVES to review things and then shares his findings with the world. With his straight to the point style he's ready to deliver quick and helpful advice on everything he uses. 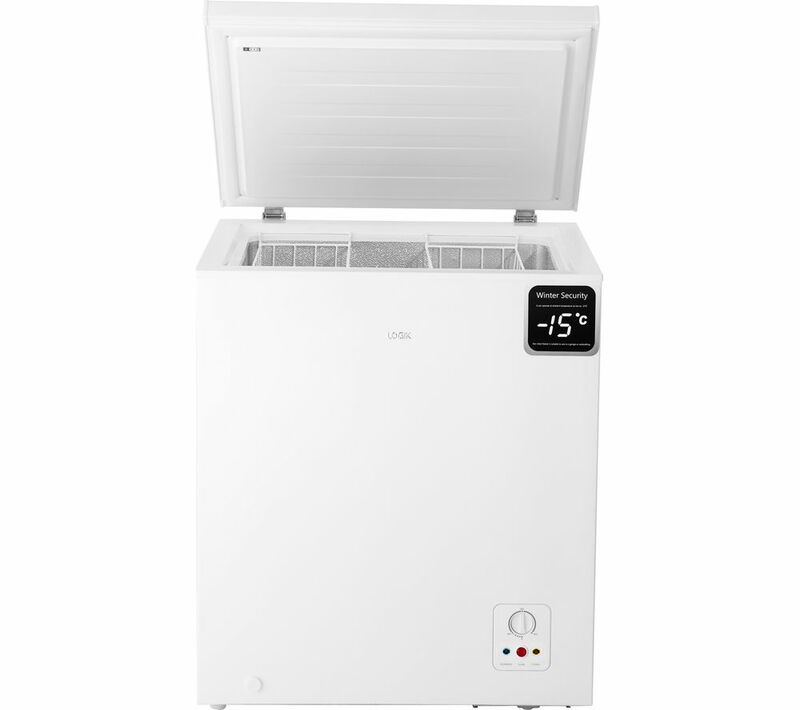 Trying to create a great list of cheap chest freezers under £100 has been a challenge here in the DealFeed office, there are so many to choose from and nearly 90% of the chest freezers at Argos, Currys, Asda, Tesco Direct etc are mostly above the £150 to £200 mark. Thankfully there are a few chest freezers out there at the popular retailers that dip under £100 (mostly at Currys) either when on offer or are part of the value/essentials range. Don't expect many (if any) top brands to be featured in this list as these are all budget chest freezers that are quite small compared to the bigger, better and far more expensive products you can find at retailers like Argos, Asda, Currys and AO to name just a few. What to expect in this list? Because of the price point you can expect to find budget brands but low capacity chest freezers ranging from around 60 litres to 140 litres typically. There are some that can be used in outbuildings such as sheds and garages but check which before you buy. Expect to pay running costs of around £23 to £26 per year (at £0.15 per kwh). So because we love to help out our readers as much as possible, here is the list of the most popular inexpensive chest freezers for under £100 and also the best ones that are slightly over budget but well worth a mention to save you money. 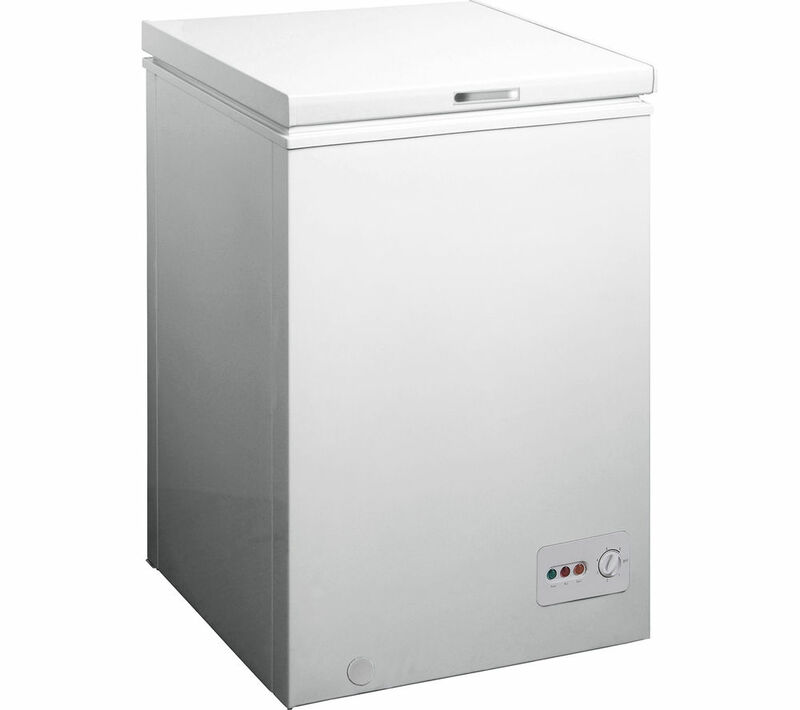 The Bush BCF99L Chest Freezer in White is a superb 61 litre chest freezer that is very affordable and also comes with a A+ rating. The power consumption is around 168kwh per year and this is equal to around £25 to run based on a £0.15 per kwh which is quite fantastic! These small chest freezers are very cheap to run because they have a limit storage capacity but are perfect if you want to keep food well frozen for a good amount of time. The Essentials C61CF13 Chest Freezer from Currys is a fantastic buy because not only does it have a A+ energy rating, it's also got a really small footprint making it ideal for any kitchen or outbuilding (as it's suitable for outbuildings which is quite rare at this price point). It's energy consumption is rated at 153 kwh per year which means around £23 per year @ 0.15 kwh to you and me. Sure it doesn't include many bells and whistles but it does a basic function and does this well! Be sure to checkout the reviews on the Currys website, there are over 1,400 of them! This cheap chest freezer from the Currys Essential range is sometimes found for under £100 if you pick the right time to buy. The Essentials C99CF13 has everything you need to deep freeze your food and save food when there are bargains at the supermarkets. It's got a very generous 99 litre storage capacity, is short and compact and is also suitable for outbuildings, sheds and garages. It consumes 168 kwh per year and this means it's around the £25 per year mark to run, not bad for a much larger cheap chest freezer really! Sometimes if you spend a little more (or it's on offer - yay!) then you get a lot more for your money. This Logik L142CFW17 chest freezer gives you a nice 139 litre capacity, is suitable for outbuildings and has a temperature alarm if sometime breaks! It consumes a little more per year than the others but does give you far more storage. Take a closer look at this one and be sure to checkout the reviews before you buy! Some people want a cheap black chest freezer for the kitchen or outhouse, garage or shed, so this Russell Hobbs RHCF99B is a great option. It can be used in the outbuilding, comes with 2 wheels and gives you a nice 99 litres of food storage. 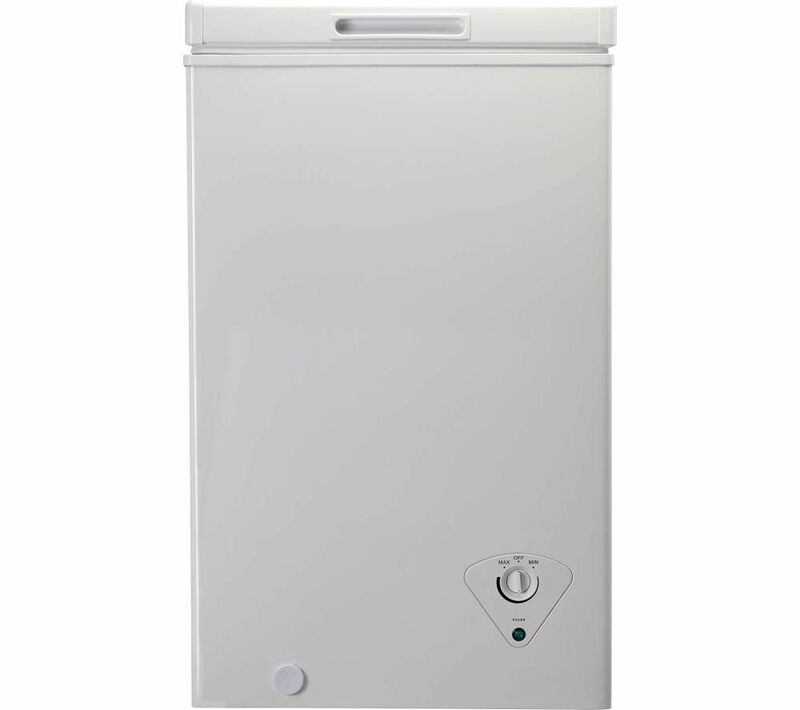 This small chest freezer also comes with a 2 year manufacturer's guarantee making it a very safe and sensible option for your cheap chest freezer for under £100 list! 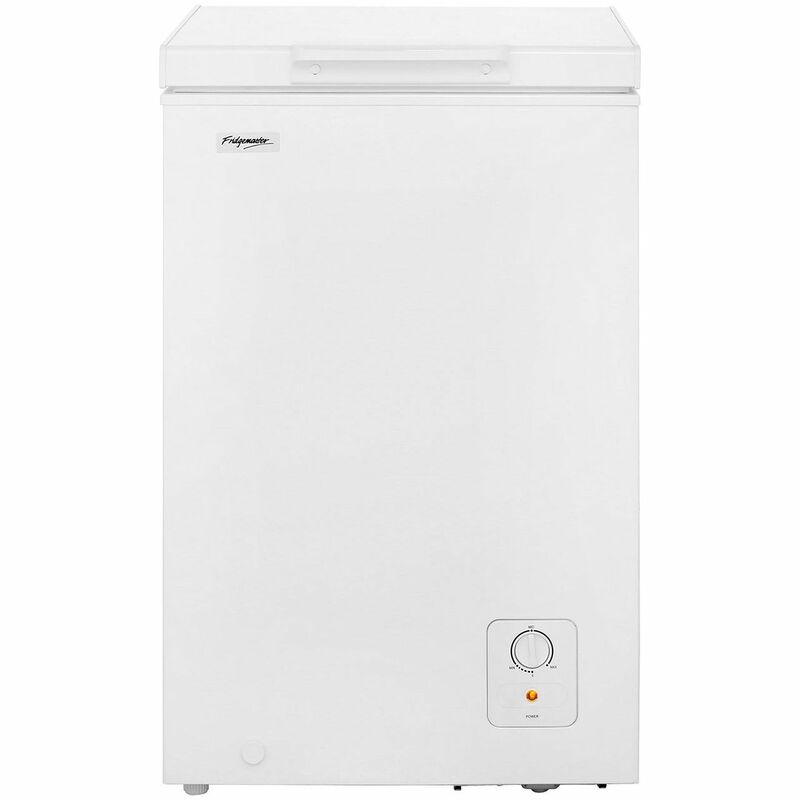 We've seen this chest freezer on offer for below £100 so hopefully you've got the best price! AO have a great selection of chest freezers on offer with always low prices so this Fridgemaster MCF95 is certainly no exception! It holds around 5 bags of food shopping (95 litre capacity) and has superb reviews on the AO.com website. Give it a chance and see if this low cost small chest freezer is perfect for you. This great option from Swan has a review rating of 4.6 / 5 and now comes in at the lowest price we've ever seen for this Swan chest freezer. It's on the small side of cheap chest freezers at 91 litres but it certainly performs perfectly and will keep your food frozen for many years down the line. Be sure to check this one out and read the reviews.